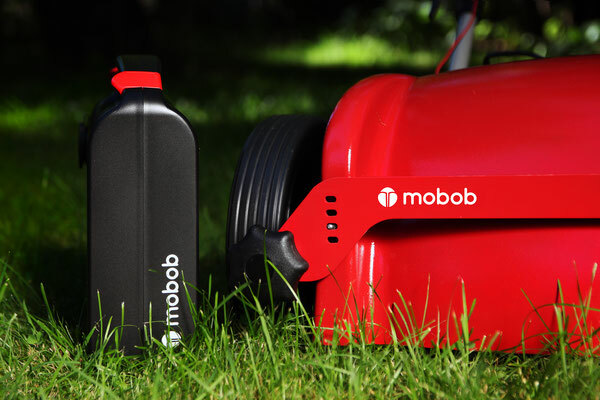 mobob® is an environmentally friendly cordless battery mulching mower. It mows so quietly that neither yourself nor your neighbourhood will be disturbed. 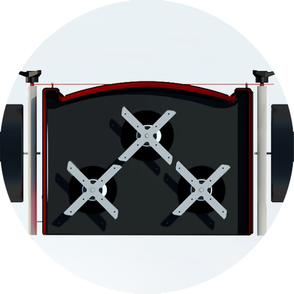 Thanks to the powder-coated aluminum chassis mobob® is super light. 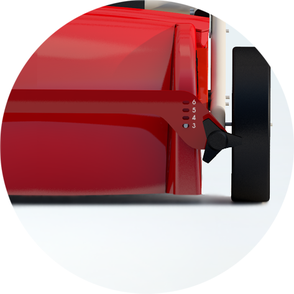 Its front wheels have wide lawn-friendly profiles. The swivel castor wheel gives great maneuverability. For transport and storage, the spar can be folded. That's how mobob® saves space. 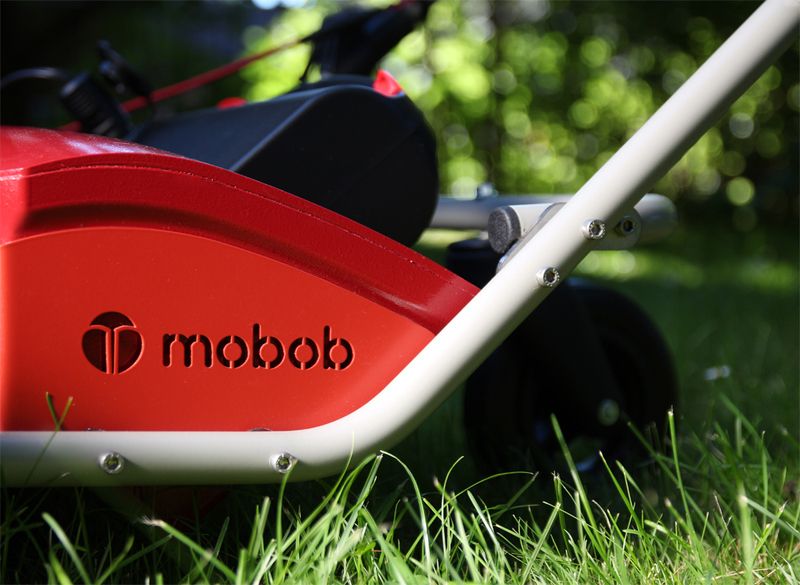 The mobob® battery mulching mower is powered by a 12V lead-gel battery. 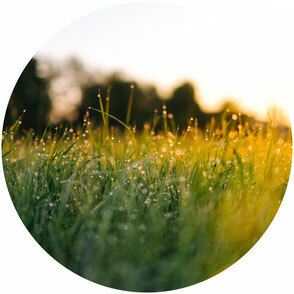 Depending on the nature of the lawn, you can mow up to 2 hours continuously. After mowing, simply remove the mobob® battery box and carry it comfortably towards a charger. The mobob® battery mulching mower is a genuine manufactory product. It is produced in small series by regional workshops. In order to avoid long transport routes, we source its commercial and industrial components exclusively from manufacturers within Germany or the EU. 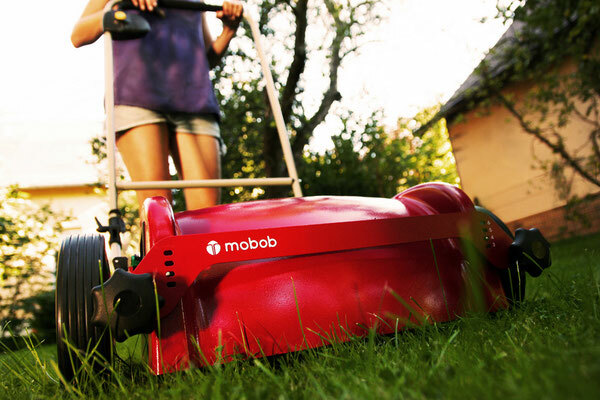 The mobob® battery mulching mower is a high-quality, enduring and resource-saving garden product "made in Germany"! The mobob® mulching mower has a total cutting width of 37 cm. Three specially balanced and thus particularly low-noise industrial DC motors drive a total of three blade carriers. 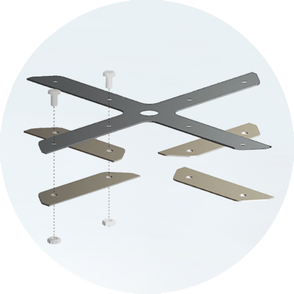 Three blade carriers each carry four sharp stainless steel blades, which can be replaced if necessary. This ensures a clean cut at all times. The lawn is accurately cut with very high speed. Grass clippings remain as mulch on the mown surface. Cutting height can be adjusted between 3 cm and 6 cm. 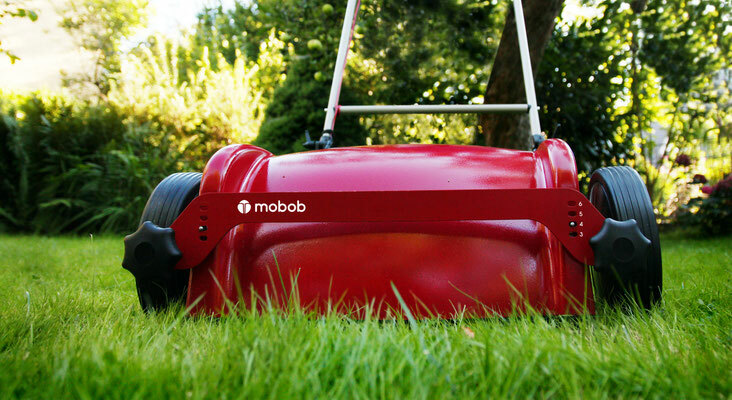 For this purpose, the mobob® mowing box is attached into the chassis. Would you like to know more about mobob®? mobob® is noiseless and is easy to handle. 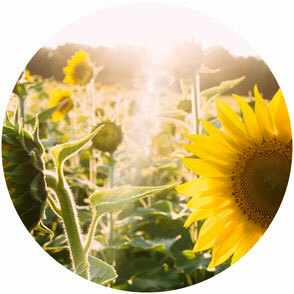 Mulching with mobob® protects the environment. 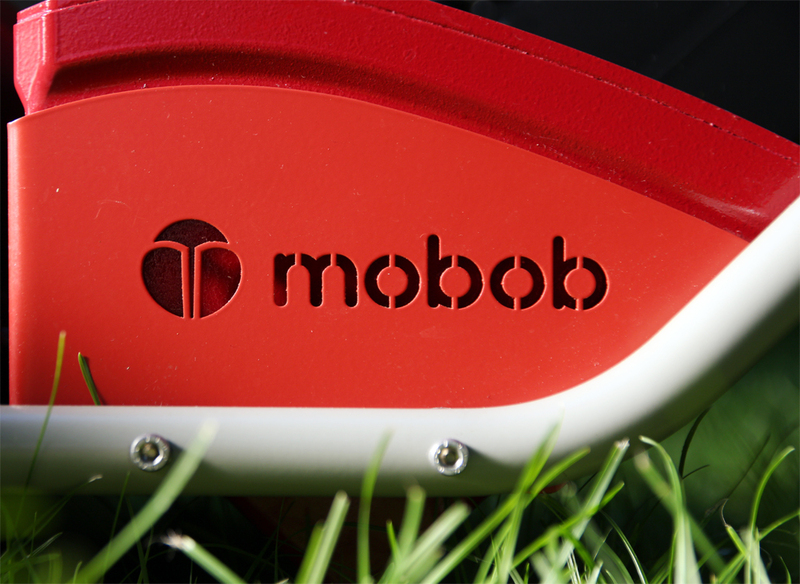 mobob® is powered by a lead-gel battery.